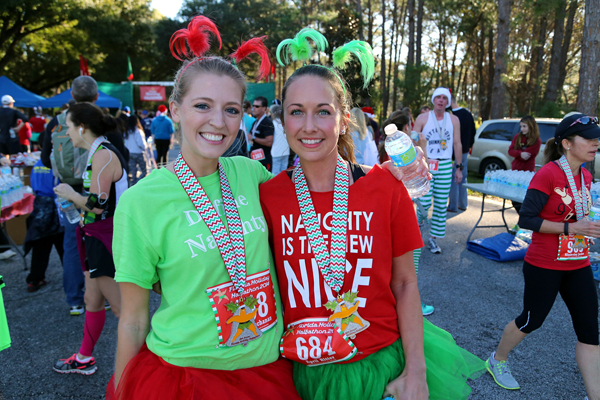 We invite you to join the 18th Annual Florida Holiday Distance Classic, featuring a half marathon and 10K Race. 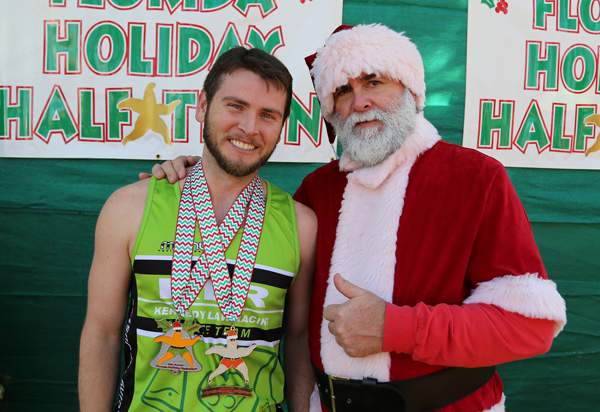 Our point-to-point courses are fast, flat, scenic and aesthetically varied: just one small bridge (Park Boulevard Bridge, four miles into the halfathon course) and two overpasses on the Pinellas Trail, with the rest of the course 10 - 25 feet above sea level. 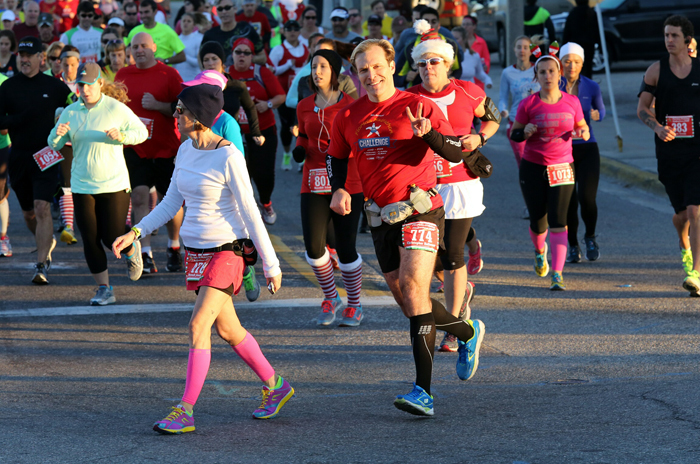 The course is accurately measured and USATF certified, starting in Madeira Beach, heading north on Gulf Boulevard through exclusive residential and commercial communities to Indian Shores, before heading inland to Seminole at about Mile 7. The 10K Race starts near Seminole City Park, joining the halfathon course, with both heading north along the smoothly paved Pinellas Trail, into shaded and scenic Taylor Park, to the lakefront finish line, the perfect place to relax, recover, listen to live music, eat our homemade hot food, and enjoy some ice-cold beverages. Afterwards, shuttle buses are available to return you to your vehicles near the start line. 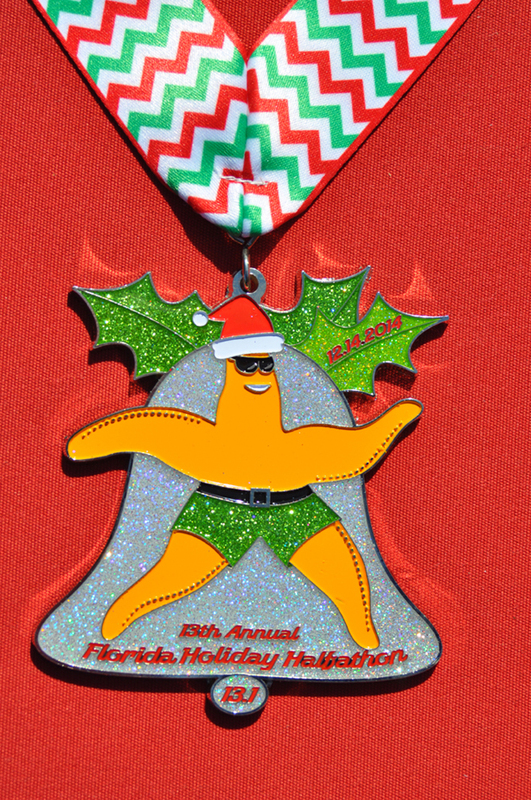 All finishers earn stunning, running starfish medals with a holiday theme. Awards for M/F Open, Masters (40+) and Grand Masters (50+), three deep; age group awards offered three deep in 5 year increments. 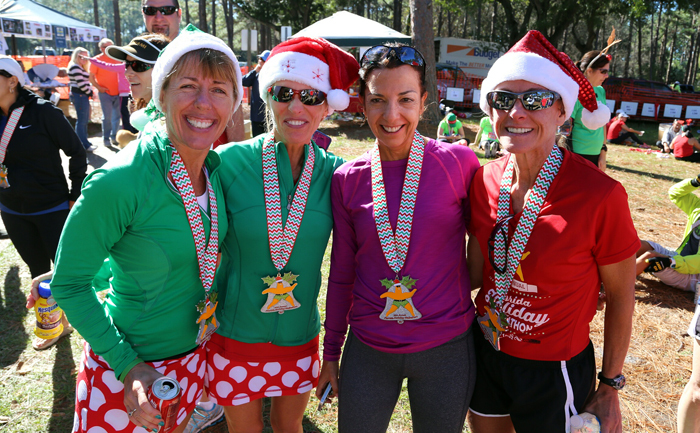 Seven aid stations await you with enthusiastic volunteers, water and Gatorade, and fresh Florida oranges starting at the midpoint. 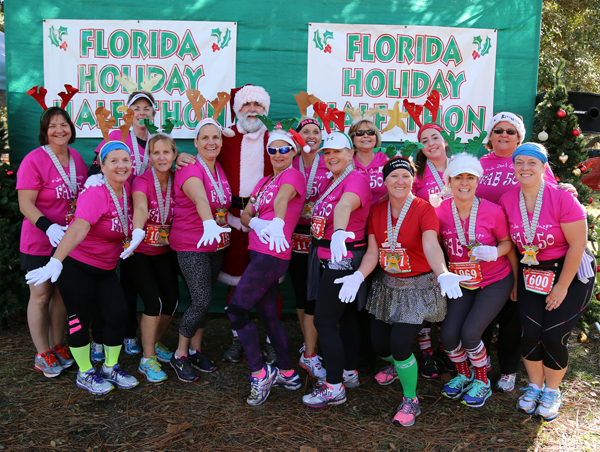 Florida's weather in December can't be beat: average low is 52, average high is 72, perfect for running and an early-winter vacation on our award-winning beaches! 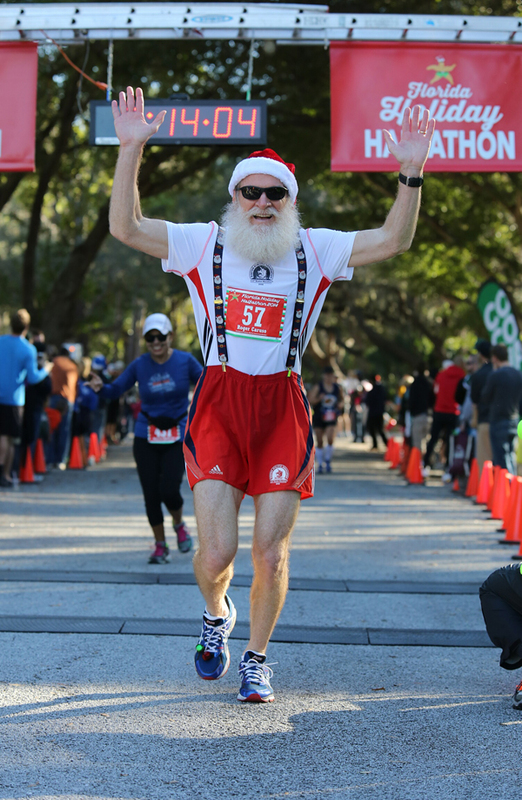 This is a great race for runners training for our St. Petersburg Marathon on February 9th, the Disney Marathon in January, or for endurance athletes seeking a final race before the holidays. Walkers are welcome. We offer an early start at 6:35 am and course support based on a 3:30 finish time. This allows you to arrive earlier to our finish line celebration in Taylor Park, while also reducing the duration of road closing and volunteer commitments. For virtual athletes who would like to run or walk anywhere in the world on their own schedule and still earn one of our finisher's medals. 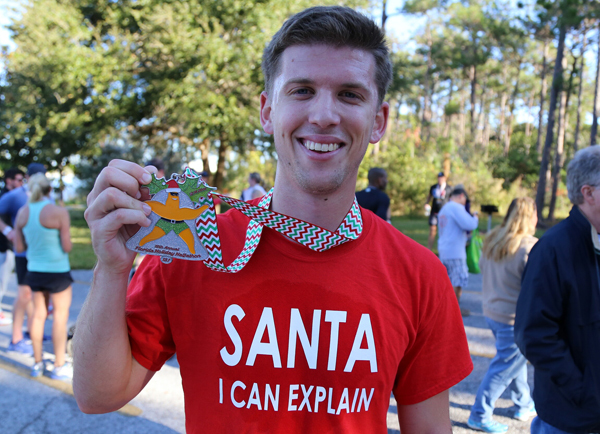 Athletes who register for the entire series virtually will receive the series completion medal automatically. 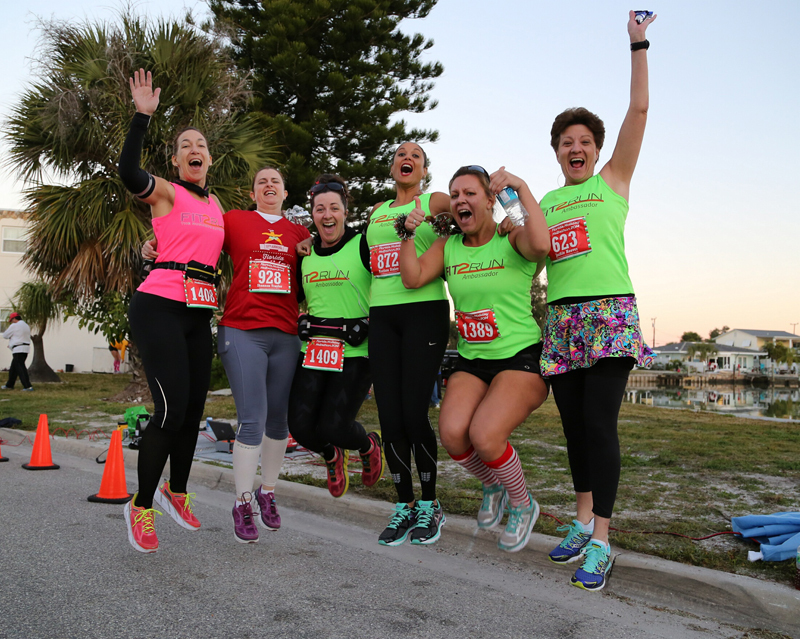 Early entrants who register by September 8 are eligible for complete refunds of entry fees or deferral to another upcoming race - athlete's choice. 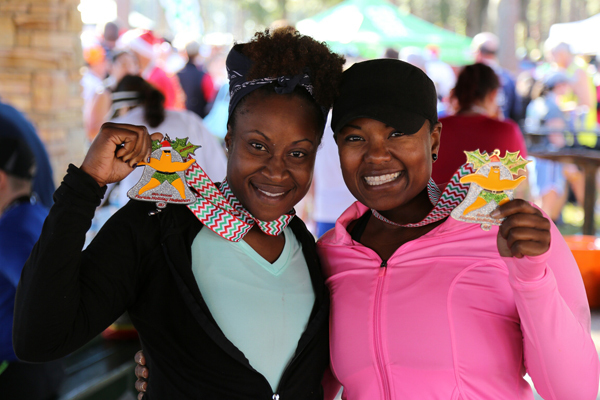 There are no refunds, transfers or credits, unless you register by September 8, AND notify the race director of your withdrawal at least THREE weeks prior to the race. ALL refunds from ALL races will be issued at the same time - after our Shamrock Halfathon on or about April 1, 2020. THERE ARE NO REFUNDS, CREDITS OR DEFERRALS DUE TO EVENT CANCELLATION BECAUSE OF WEATHER OR OTHER ACTS OF GOD. There are NO transfers to other athletes. You may not give or sell your number to another individual. The other individual will not be covered by USATF race insurance if there should be an injury. The other individual's results may compromise scoring as they may be in a different age bracket than yourself. They will be disqualified. You and the other individual will be prohibited from running in our races for 3 years. 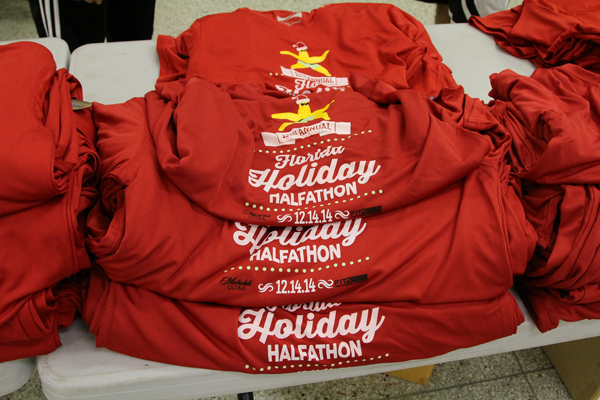 All our races are sanctioned and insured through USATF for runners, joggers, and walkers ONLY. Strollers, skaters, skateboards and bicycles are NOT allowed on the course during our races. For more race information, please visit our website at: www.FloridaRoadRaces.com. Our simple goal is to exceed your expectations. Run on our roads, relax on our award-winning beaches!